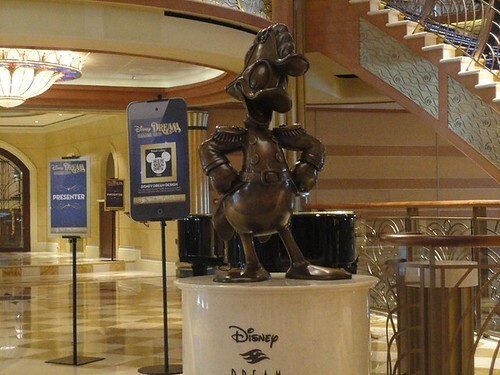 Last week I was on board the Disney Dream as a part of the media to cover Disney’s newest cruise ship. I have so much to share about the ship that I can easily post something new every day this week and more than likely I will. I took my entire family along with me on the Disney Dream because I really wanted to see how the cruise accommodates families. 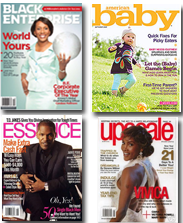 I cannot express to you the level of friendliness, attention to detail, and unparalleled service we experienced from the moment we embarked to the moment we debarked. Suffice it to say, the Disney Dream operated like a very well-oiled machine. 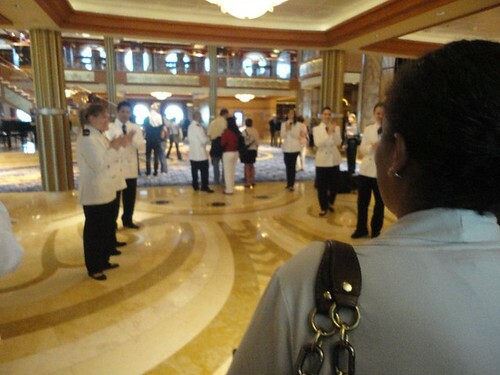 Right after we walked across the gangway, members of the Disney Dream crew waited for each guest, asked our names, announced us with a microphone and clapped us on board. Then a member of the crew took us aside and personally told us how to find our rooms and something to eat. I loved all of that! 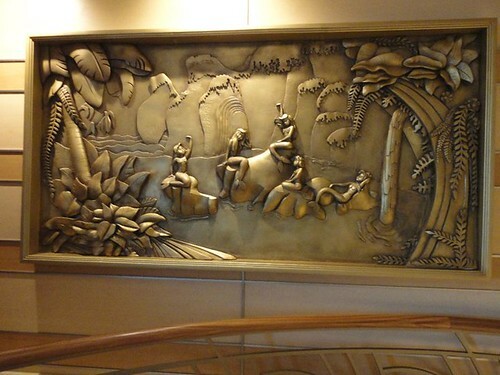 Once on board we walked into their gorgeous Art Deco-inspired grand lobby located on Deck 3. I couldn’t believe how shiny and buffed the marble floors were. 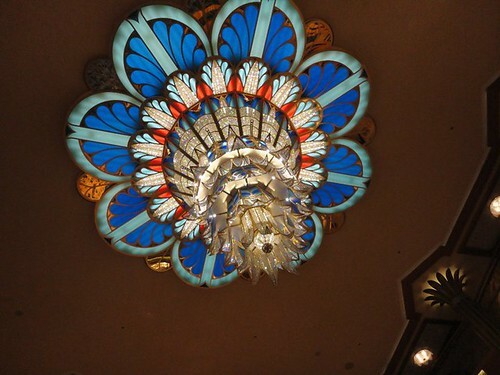 The lobby also boasts commissioned art, a gorgeous chandelier and Admiral Donald Duck. 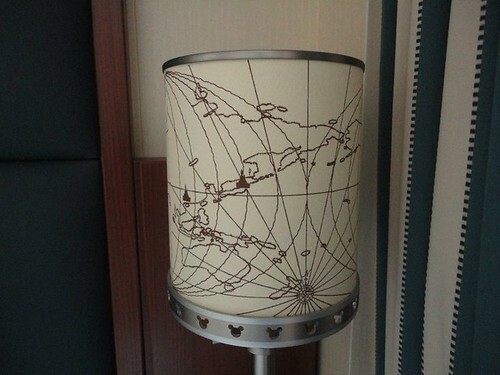 Disney housed my husband, two daughters and me in their Deluxe Stateroom with Verandah. At 246 square feet including the verandah we had plenty of space to feel comfortable and well-accommodated. 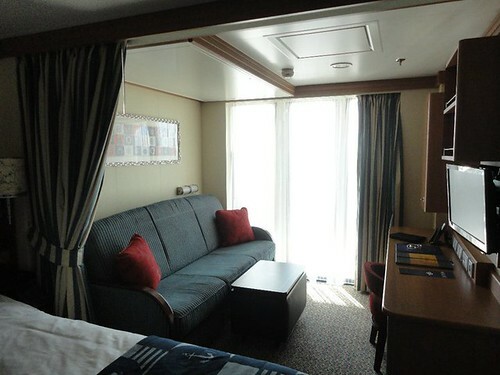 The Deluxe Oceanview Stateroom With Verandah easily and comfortably sleeps 3 or 4 people. 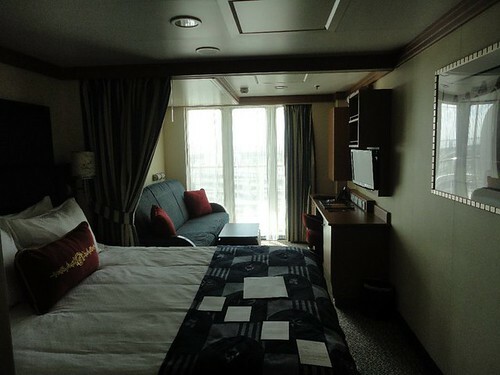 With a queen bed, single sleeper sofa and upper berth pull-down bed, the room was perfect for our family. 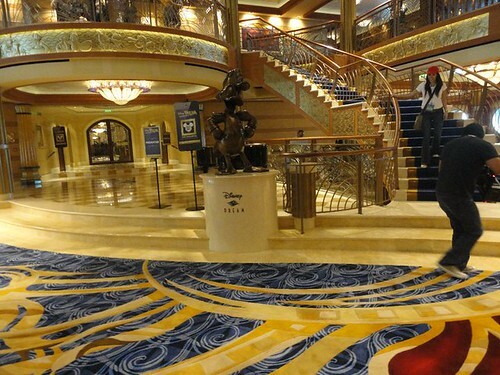 The Disney Dream comfortably sleeps four. Check out the details in the decor. 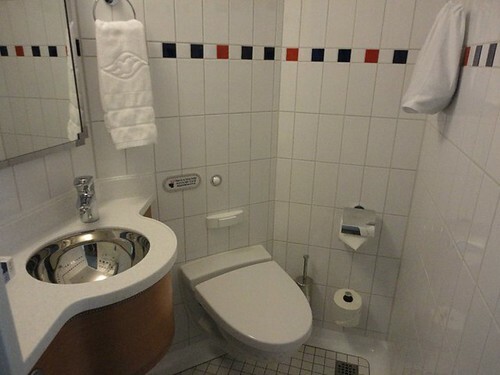 One of the details I loved best in our stateroom was the split bathroom. 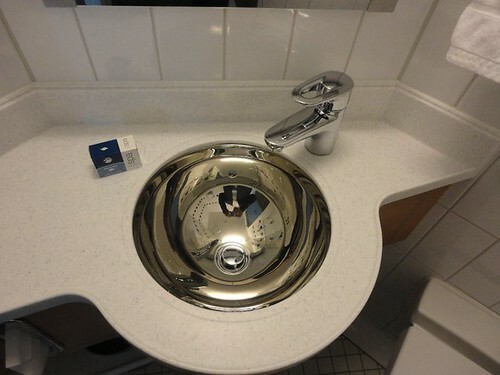 One bathroom held a toilet, vanity, and sink. 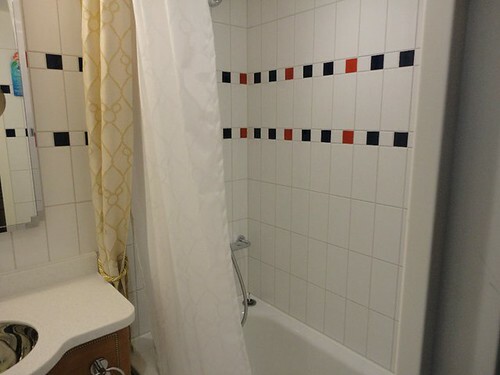 The other bathroom housed a vanity, sink, and full tub and shower. Come back tomorrow when I talk about the great day we had at Castaway Cay, Disney’s island in the Bahamas.